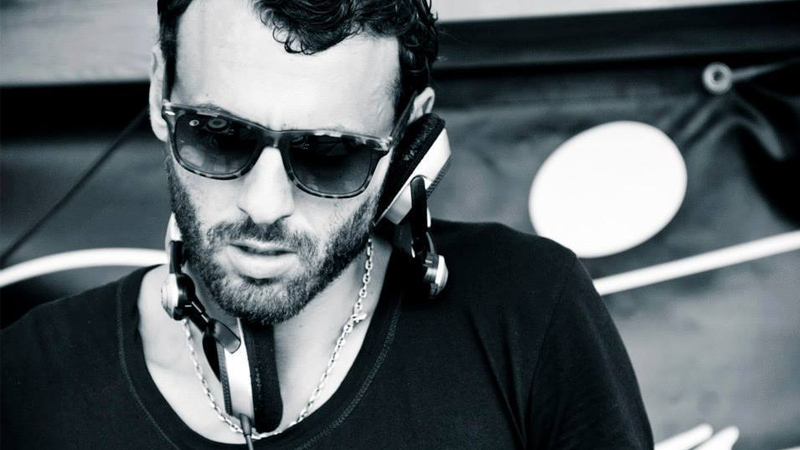 Khalil Belamallem, widely known as Kali G, is flourishing as one of Morocco’s fastest rising star DJs. His style is hard to define but probably comes closest to what you could describe as ‘spiritual wave’, incorporating unique grooves and deep bass lines alongside Moroccan folklore samples and ethnic sounds. Kali G does not believe in pre-concieved playlists — a real artist who enjoys taking risks and always improvises his sets by looping on his CDJs and thereby creating a magical atmosphere that takes every party to a whole other level. 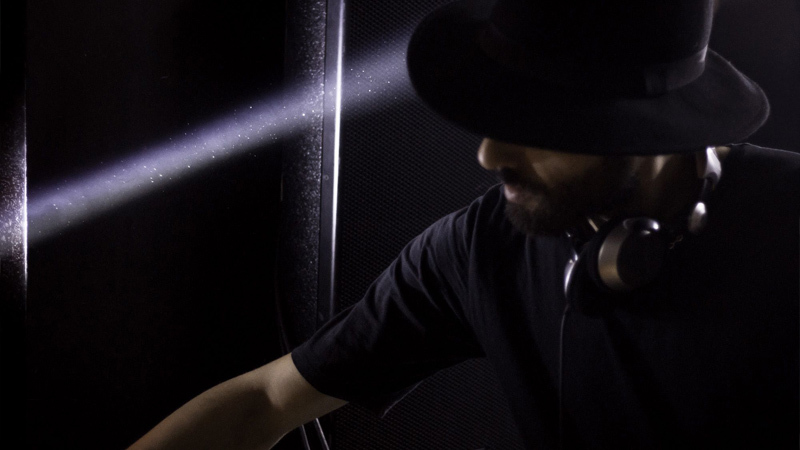 In the past few years, he has shared the booth with some of the most talented artists in the scene such as Subb-an, Daniel Stefanik, Dana Ruh, Eddie Richards, Mathew Dekay, Davide Squillace, David Mayer, Andrew Grant and Villanova among others. After his first release with Desertica Records in 2013, Kali G developed an absolute bastion of goodness and positivism when it comes to releasing authentic sounds. Much of it is inspired by his upbringing, his roots, his travels and his personal experience. We had a small chat with him ahead of his upcoming EP on Wind Horse Records titled ‘Equinox’. He went on to break down the EP for us in his own words. Walk us through your journey so far. How did you get involved with DJing and music production? I spent my childhood moving around different cities in Morocco. That’s when my journey began as I got used to travel, making new friends and living new adventures. I started playing instruments from a young age, so music has somehow been the only friend I could spend time with every day of my life until now. As a DJ I started with playing hip hop and RnB music in Spain in the late 90’s. Then I chanced upon and fell in love with house music and it’s community. I really enjoyed my first sets playing electronic music and really loved the fact that I could make music using music and feel that every single set is a different journey. After few years learning from the dancefloors and the experiences of my youth, I decided to move to Barcelona and study music production at SAE institute, a school that I always envisioned to learn to make my own sound. That’s when my journey as a producer started. Who were your initial influences and how has your sound evolved since then? I had many influences since a very young age…from hip hop to pop, rock, blues, traditional moroccan music and even spiritual sufi music. I like to listen to all genres and imbibe the good things from each one. Music is a limitless ocean of ideas, rhythms, feelings etc. When I started playing and making electronic music I had the chance to discover thousands of amazing producers and many talented DJs and I hope I will never stop discovering…that’s what makes all of us better and better. I consider that my sound is still in an experimental mode I am trying to use all that background and take it to a spiritual level…music is spirituality for me. Tell us about the current scene in Morocco. The Oasis Festival has become quite popular internationally. Is there a sizable audience for electronic music and clubs that cater to the electronic genre? Indeed. Morocco is living a magic period. There are more and more quality events happening and the scene is growing very fast. People are getting increasingly interested in underground music and the vibe is very special…I personally compare the vibe to the early 90’s when techno was emerging in Europe…so I really feel happy and fortunate to be a part of all this. We are also having a bunch of good festivals during the year and I thank all the promoters for their interest in Morocco and it beautiful emergent scene. Your nickname ‘King of the Loops’ — how did that name come about? Life is one big loop. I am a big fan of using loops when it comes to DJing to the point of having cramps in my fingers after a long set sometimes. I guess that’s the origin of that nickname. What are your favorite DJ tools and what’s your take on the fancy new equipment entering the market? I personally think that technology has made DJing less special. As a DJ I still use the old school tools. My sets are almost 100% with Audio CDs that I take the time to prepare, write the titles for carefully and enjoy them with the crowd. I like to drop some vinyls too when there are artists on the line up who like vinyl, just a way to show some respect and enjoy that special feeling and sound together. I also take time to prepare my DJ tools in my home studio and they are mostly made from ethnic, spiritual, nature and folklore sounds that I like to add to build a special atmosphere. Name 5 contemporary producers who inspire you at the moment. Normally I http://viagrabuynow.com/ don’t like to name few artists because I think it’s a disrespect to the huge number of good producers out there but I really like the long modular avantgardist trips of Ricardo Villalobos, the ethnic sounds that Pier Bucci spins, the simplicity of Stimming, the granular sound of Telefon Telaviv and Archie Hamilton’s elegance. What was your experience like touring in India? How does it compare to other parts of the world you have played in? There is no comparison between India and other experiences. As in Morocco I think India is also living a magic moment with electronic music. I really enjoyed playing, discovering, talking to and meeting great artists from different parts of India. Playing in Goa with Hamza was really special and I really thank Wind Horse Records for the beautiful journey. Indian art has always offered a lot to the world and being able to be there for few weeks was infinitely inspiring. You have your ‘Equinox EP slated for release next on Wind Horse Records. What was the thought process behind it and what can we expect from this new offering? “Equinox EP” is my new born baby — a mix of unforgettable travels, human experiences and ethnic discoveries. It’s composed of three tracks each one with it own story. I hope that listening to the Equinox track will take you to Morocco’s deep folklore and that special moment of the year when light and darkness have the same duration in almost all parts of the globe…that’s when birds start flying to the other hemisphere. Nadam is an Arabic word that means “regret” so it expresses my feeling after leaving India. It’s simply my humble tribute to India and to all the amazing people I miss from there. Its inspired from a Balinese form of dance and music drama I attended in Ubud. I hope this track can lead people to express personal experiences, events or feelings through a dance.